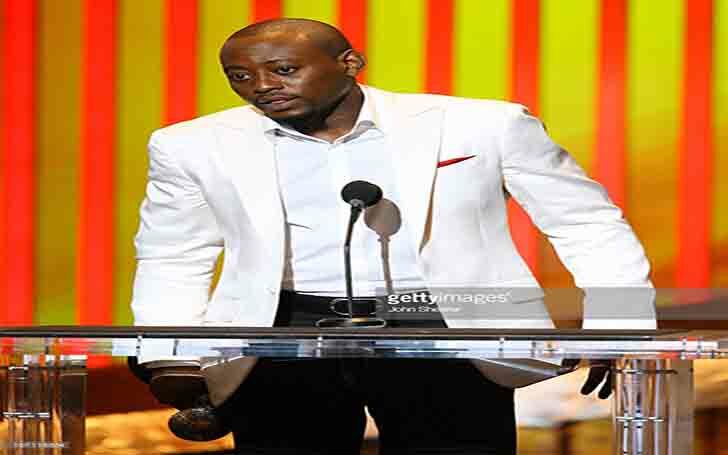 Omar Hashim Epps is not just a rapper, but also an actor, songwriter and record producer. This 44 yeared American artist has met great success and achievements in the entertainment industry. His career is marked with some outstanding roles. And as a result, he has also bagged a huge net worth. Omar was born in Brooklyn, New York. Before pursuing a career in acting, Epps belonged to a rap group called the Wolfpack, which he had formed along with his cousin brother in 1991. He was already into poetry, short story writing, and songs, by the time he reached 10. He is said to have attended the Fiorello H.LaGaurdia High School of Music & Art, and Performing Art. Epps has an estimated net worth of $15 million, and all this is possible due to his multi-faceted profession. The rapper purchased a house worth $ 2,200,000. The house had a total of six bedrooms, grand Mediterranean-style at 5335 Leghorn Avenue. Epps received $175,000 per episode as salary for the TV show House. He started in the film business portraying short and minor characters. His first film as a major character was with rapper Tupac Shakur in Ernest Dickerson’s famous movie Juice. At the time, he also acted in a college football drama The Program, alongside James Caan. 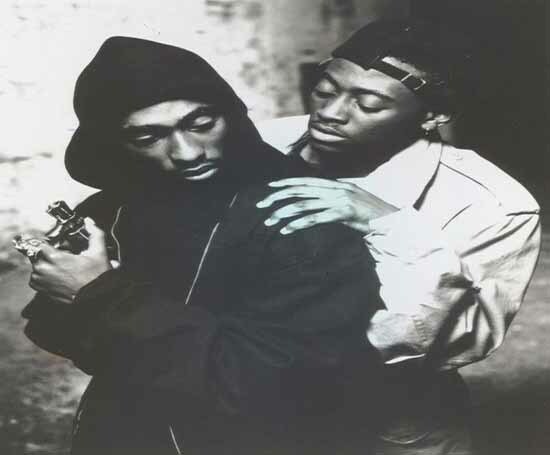 CAPTION: Omar Epps with Tupac Shakur, for Juice. Epps later appeared in the movie Deadly Voyage as Kingsley Ofusu. The movie was based on the true story of African stowaways. That same year, he moved to baseball as a co-star for sport/comedy film Major League II. In the film, he undertook the role of Willie Mays Hayes. His next athletic movie was playing a track-and-field athlete for John Singleton’s Higher Learning. The movie focused on the politics and racial tensions of college life. Epps then landed a role on the hit television drama ER for several episodes. He portrayed the role of Dr. Dennis Grant, a troubled surgical intern. After his television works, he moved to the big silver screens in 1997, for the blockbuster sequel Scream 2. Also in the same year, he was the star for the fact-based HBO movie First Time Felon. In this film, he played a small-time criminal who goes through Chicago’s boot camp reform system. In 1999, he was cast as Linc in The Mod Squad. The Mod Squad didn’t turn up well for Epps, but later in the same year, The Wood offered him a more serious and a multi-dimensional role. The movie was based on the life of a group of middle-class African Americans from their youth to adulthood. 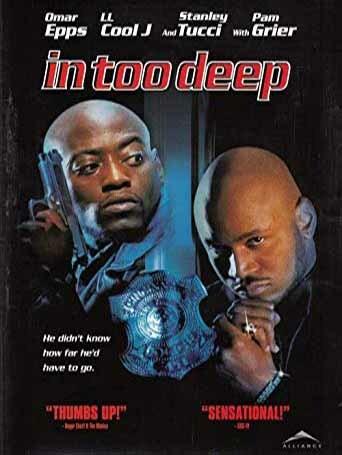 Also in 1999, he appeared as an undercover detective in the movie In Too Deep. The movie also featured rapper LL Cool J and Stanley Tucci. In the same year, he appeared alongside James Earl Jones and Jada Pinkett Smith in the 1950s set murder mystery When Willows Touch. Then in 2000, Omar starred in Love & Basketball. He portrayed the role of Quincy, a future NBA prodigy who has a stormy relationship with female co-athlete Monica (Sanaa Lathan). Epps also did a number of supporting roles for notable films like Dracula 2000, Big Trouble, and Conviction. He was able to grab a leading role as a gangster in Brother, a movie directed by Japanese actor/director Takeshi Kitano. In 2004, he got the role of a drug-dealer who later transforms into a prize-fighter Luther Shaw, under the guidance of boxing enthusiast Jackie Kallen(Meg Ryan), in the biopic Against The Ropes. In the same year, he returned to television medical drama as Dr. Eric Foreman for the Fox television series House. Later in 2014, Epps took the role of agent J. Martin Bellamy for Resurrection, an ABC television show. Epps received the award for best actor at the Monte Carlo Television Festival for his role as Kingsley Ofusu in the movie Deadly Voyage. CAPTION: Omar at the 38th Annual NAACP Awards. His role as Dr.Eric Foreman in the television series House earned him an NAACP Image Award in the years 2007, 2008, and 2013 respectively for Outstanding Supporting Actor in a Drama Series. Bollywood Actress Kareena Kapoor gives birth to a baby boy. Saif Ali Khan expressed his joy.